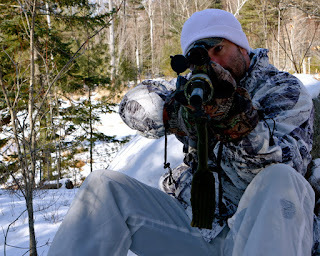 For rifle scope reviews and full buyer guides check out Rifle Optics World. Don’t get wrapped around Magnification This seems to be the biggest mistake people make when purchasing an optic, they assume the more magnification the better the scope is. To a degree this may be true, but not for hunting scopes. The vast majority of people do not need an incredibly powerful optic, and most hunters do not shoot beyond two hundred yards. A typical 3 to 9 power optic is suitable for most ranges people are hunting at. Using too powerful of a scope makes close and medium range shots difficult. You may attempt to sight in on your chosen game with your 5 to 25 power scope on a deer less than 50 yards out and have issues actually finding the animal in your crosshairs. Instead of investing into an ultra powerful scope, invest into an ultra high quality scope in the 3 to 9 or 2 to 7 power range. Know your Weapon To buy a good scope for your weapon you need to know your weapon. Your rifle may be too powerful for the scope, and if that’s the case you’re looking at a possible damage to it, or vice versa you may spend a ton of money on a scope for a rifle in 308 that’s unnecessarily rated for the 50 BMG round. Others factors could include scopes being designed around a single load of a single round like the Nikon P-300. The Nikon P-300 is designed for a 155 grain 300 Blackout round, and its bullet drop compensator isn’t going to work well with a 243 round. Understand Light Transmission and Lens Coatings Light transmission is a more accurate term for light gathering that’s commonly associated with scope terminology. Light transmission with a rating of 85 percent or more is very high, with the top optics reaching 98 percent. Light transmission is important for hunters due to the fact most game is taken as the sun rises and as it sets, and many hunters may be under a canopy which reduces light. Lens coating has a lot to do with how much light transmits through an optic, reduces glare, and reduces loss of light transmission through reflection. Lens coating go hand in hand with quality glass but in general lens coatings rank as so, with 1 being the ‘best’ and declining. Scopes come into two focal planes the second and first focal plane. Without going into the nitty gritty of how focal planes work I’ll explain why the first focal plane rules. FFP scopes have a reticle that changes as you change the magnification. Scopes with mil dot reticles or any reticle that is used for measurement is accurate at any magnification with a FFP scopes, whereas with a second focal plane scope the reticle is only accurate at one magnification. A FFP scope allows users to make more accurate and precise shots using holdovers at any magnification. This could be 3 xs to 18x and reticle measurements will always be the same. Going hunting can be a rather rough sport on your equipment. The world in the field is an unpredictable place, where hunters can face a variety of different threats and challenges to their equipment. Optics are somewhat fragile objects, they are made mainly from aluminum and glass. A good high quality scope for a hunting rifle needs to be sealed against water, moisture and dust. In the field it’s easy for your rifle to bang around, crash into things, and even be dropped. Who’s never slipped down a hill trying to a drag a deer out of a holler? An optic should be shock proof, and bonus points its fog proof, and has a lens coating like Bushnell’s Rain guard HD, or Vortex’s Armortek lens. In terms of construction, a solid aluminum is a great place to start, and an optic with single piece tube construction is going to be even tougher. A simple reticle is often the easiest way to go. A simple duplex reticle is okay for short range hunting, but if you are looking at two hundred or three hundred yards look into a mil dot reticle. A simple vertical and horizontal mil dot scale will allow shooters to make adjustments for both windage and bullet drop. A bullet drop compensator is tempting, but you are isolated to one caliber, with one bullet weight and one velocity, so keep these limitations in mind. If you mind that limitation a BDC is surprisingly accurate, and I’ve enjoyed my ACOG’s BDC’s accuracy a lot. Anything too complicated will make observation difficult, and will slow your time to the trigger. Also illuminated reticles are a poor choice for hunting if the reticle is not glass etched. A glass etched reticle can be used if the battery dies, or the electronics short. It’s very tempting to go for the biggest, easiest to use target turrets on the market. In reality though these target turrets are made for target shooting for a reason. They tend to move very easily, and in the field this means they can get bumped and changed radically, destroying your zero. In reality in the field, hunting, you’ll often only get one single shot, so target turrets are often useless. Low profile turrets are often a better choice for hunters, and even turrets that require a tool to make adjustments are a better choice than target turrets. Target turrets are not as tough as low profile turrets and more apt at breaking. Enjoyed this article. I would like to add that the first Scopes, at the start of the 20th century, were hunting telescopes; meaning a telescope attached to a firearm. J. Stevens Arms and Tool Company was sticking a pin up through an Opera Telescope and mounting these on both Savage and Marlin Rifles. 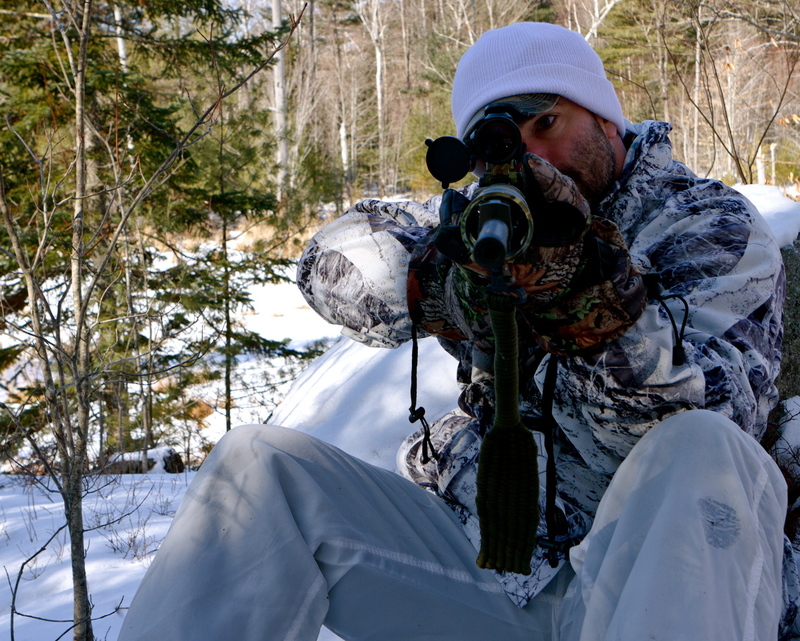 7 key facts while buying a hunting scope. Will keep these in mind, cause me also buying a new one.